When Lucinda moved to a new area she held a Big Lunch to bring people together. Now her community have planning permission to build their own hub space and are planning their fourth Big Lunch! Find out more about Lucinda's journey and how the Wilstock community has gone from strength to strength. I’ve now got as many people volunteering to organise our Big Lunches, as attended the first one! The Big Lunch is such an important part of our community. We couldn’t imagine life without it. In 2014, Lucinda moved into a new-build housing estate, in Wilstock, Somerset, with residents from all over the country. She quickly noticed that in the new estate, there were no communal facilities and, as a result, no community. Lucinda set about to change this, and with a small group of neighbours, she met with the developer of the estate who agreed to gift a piece of land for a community building. But there was still a long way to go to build a community! Lucinda first heard about The Big Lunch in 2015, when she attended one of our Community Camps. As well as coming back inspired and motivated to set up a charity, Wilstockhub, to move the community hub work forward, she felt a Big Lunch would help kick start a community. 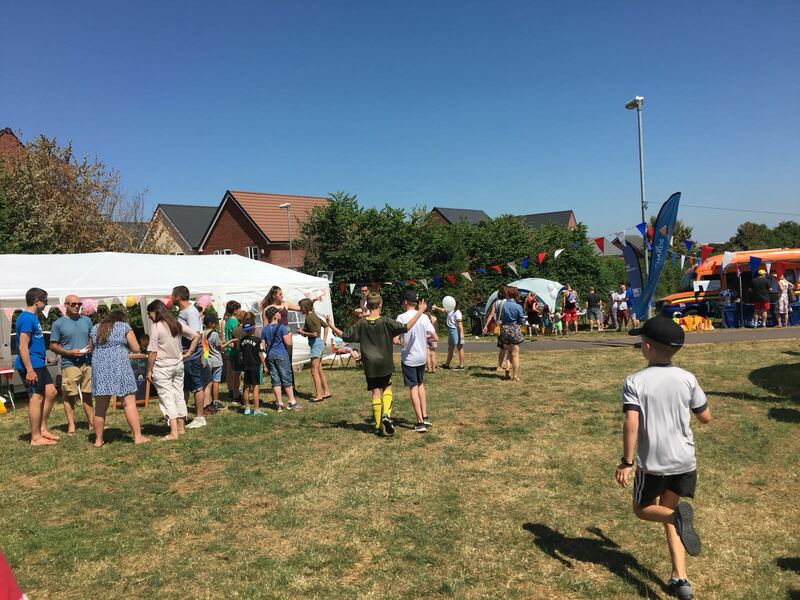 Now an annual occasion, the Wilstock Big Lunch has got bigger and bigger, with over 500 people having fun. ‘We engage the whole community, regardless of age, background or anything!’ For anyone stuck for inspiration, Lucinda’s Big Lunches have had it all, arts and crafts, LEGO building, circus performers and even their very own music festival! The number of volunteers has grown and Wilstockhub was granted full planning permission in February 2017 and charitable status in 2018, with building work to begin in the near future. However, the lack of a building hasn't held this community back. From lantern parades to Easter egg hunts, and from gardening projects to street games, Wilstockhub is already thriving! For Lucinda, the importance of The Big Lunch is much more than just people having a good time. Lucinda and the Wilstock community are now planning their fourth Big Lunch! If you'd like to become a Big Luncher like Lucinda, request your free Big Lunch pack and get started! Hear from other Big Lunchers about what makes The Big Lunch so special for them. Village Halls and community buildings are at the heart of our communities, especially in rural areas. #VillageHallsWeek 22-28 January, run by ACRE and the ACRE Network, is a celebration of these important spaces and the services they offer. Find out more here and follow them on twitter to see what's happening near you.